When a tenant receives an eviction form by the landlord asking to evict the property then in that case, the tenant has all the rights to respond to the eviction letter using the Eviction Answer Form. He can share his stand or requirements using this form in case he demands more time in order to vacate the property or he is against eviction based on some legal reasons. 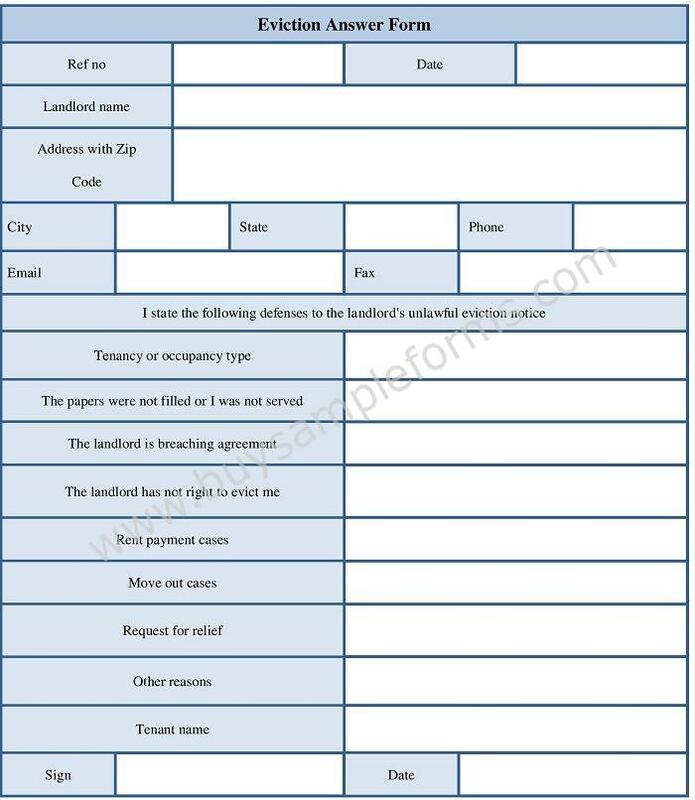 Eviction Answer Forms are designed to submit the point of view of the tenant to the landlord in a formal bay. Eviction Answer Form is the document using which the tenant can put forward his points in response to the eviction form to the landlord. We have come up with easy to download Eviction Answer Form template. You can have your own Eviction Answer Form using this sample of answer to eviction complaint which has been drafted in MS Word format. 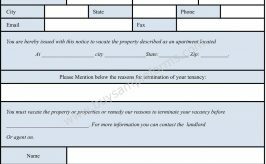 You can edit, print and download this sample Eviction Answer Form based on your requirement as a tenant.